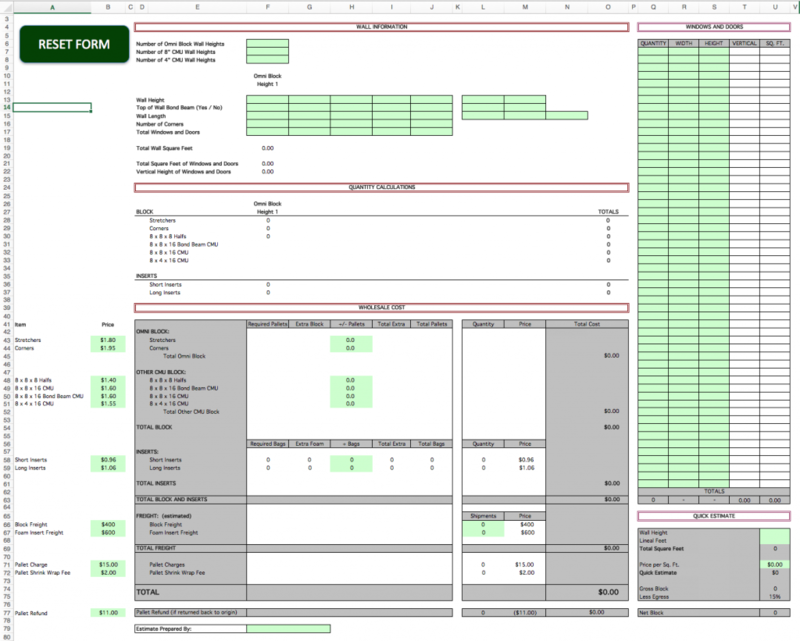 The Estimator 8816 is a customized Microsoft Excel spreadsheet (pictured above) that provides exact quantities of Omni Block, bond beam block, standard CMU, standard CMU halves and both the long and short inserts. First time users should read through the tutorial provided below and it is recommended to use a simple building the first exercise. Note: Omni Block will provide answers to specific questions via email but is not staffed to complete quantity take-offs or provide instructions on how to use an Excel spreadsheet. The link below will download the spreadsheet onto your computer. 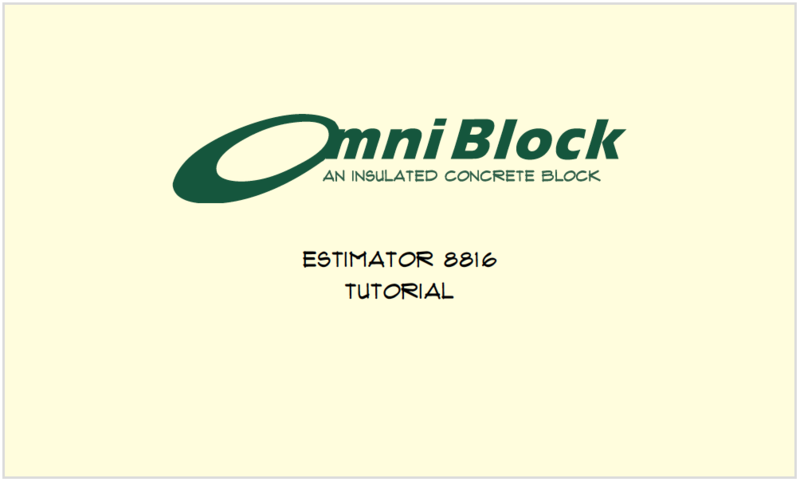 The tutorial is a step-by-step set of instructions as to how to use the very flexible estimating tool.